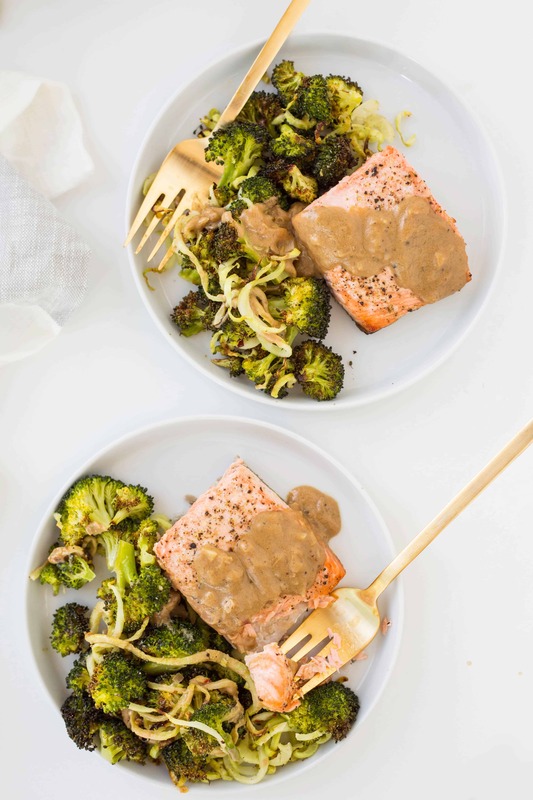 I don’t know why it’s taken me so long to bring my garlic-Dijon sauce to this blog, but hey, better late than never! This is going to make my weekly dinner rotation: it’s nutritious, tasty, filling, and comes together quickly. 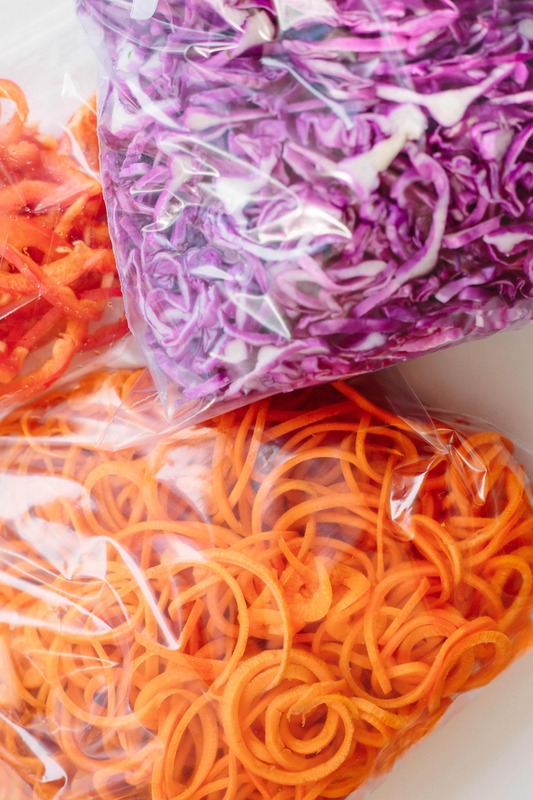 Meal prepping with spiralized veggies is a great way to commit to a healthy week and get your veggies in! Raw Storage: Apples instantly brown in the refrigerator, so seal tightly in a Ziploc or airtight container (try to avoid letting much air in), but only expect a couple days in the refrigerator. Raw Storage: Seal in an airtight container, lasts up to 5 days in the refrigerator, can be frozen. Raw Storage: Seal in an airtight container, lasts up to 5 days in the refrigerator. Raw Storage: Lasts up to 1 week, can be frozen. Raw Storage: Seal in an airtight container, lasts up to 1.5 weeks in the refrigerator, can be frozen. Raw Storage: Seal in an airtight container over paper towels or napkins, lasts up to 5 days in the refrigerator, shouldn’t be frozen. Raw Storage: Seal in an airtight container over paper towels or napkins, lasts up to 2 days in the refrigerator, shouldn’t be frozen. Raw Storage: Seal in an airtight container, lasts up to 10 days in the refrigerator, shouldn’t be frozen. Raw Storage: Seal in an airtight container, lasts up to 7 days in the refrigerator, shouldn’t be frozen. Raw Storage: Use as you would normally with a sliced onion. Raw Storage: Seal in an airtight container, lasts up to 10 days in the refrigerator, can be frozen. Raw Storage: Pears instantly brown in the refrigerator, so seal tightly in a Ziploc or airtight container (try to avoid letting much air in), but only expect a couple days in the refrigerator. Raw Storage: Seal in an airtight container, lasts up to 4 days in the refrigerator, can be frozen. Raw Storage: Seal in an airtight container, lasts up to 7 days in the refrigerator, can be frozen. Raw Storage: Seal in a bowl covered with ice water, up to 2 days, can be frozen. Raw Storage: Seal in a bowl covered with water, up to 2 days (to avoid browning), can be frozen. “Raw”/cold dishes: If the dish requires no cooking or is better served chilled, it’s a win-win! Spiralized rice: since rice dishes tend to not be made with vegetables that release excess moisture, they’re perfect for prepping completely in advance and reheating. They work well in the freezer, especially! 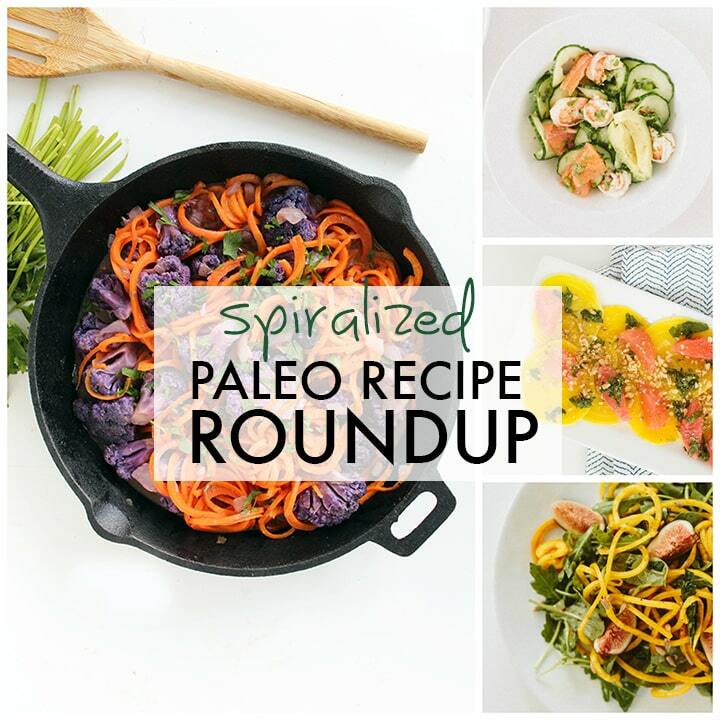 Click here for all spiralized rice recipes. 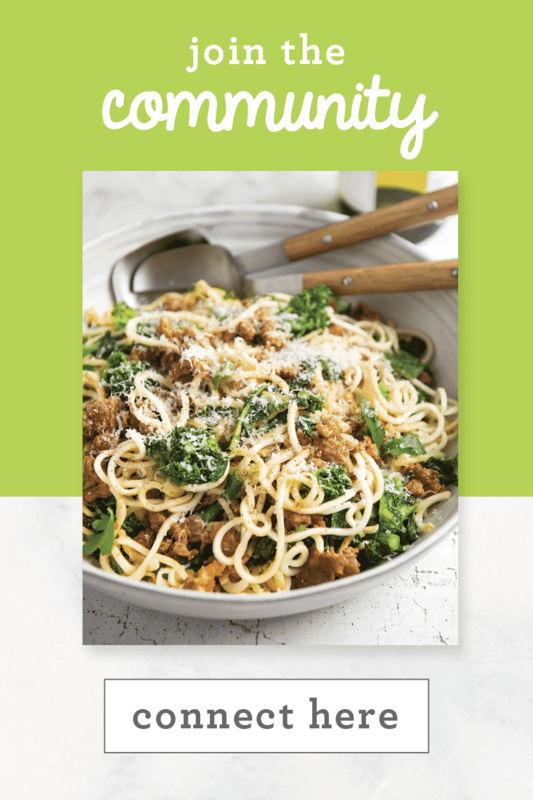 Non-zucchini noodle dishes with ragu-type sauces: If you’re making a bolognese over sweet potato noodles, this can easily be reheated and enjoyed. 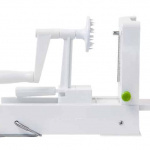 However, if you’re making a zucchini noodle dish with a bolognese, the water content in the zucchini noodles will thin out the bolognese and take away from its originally delicious flavor. 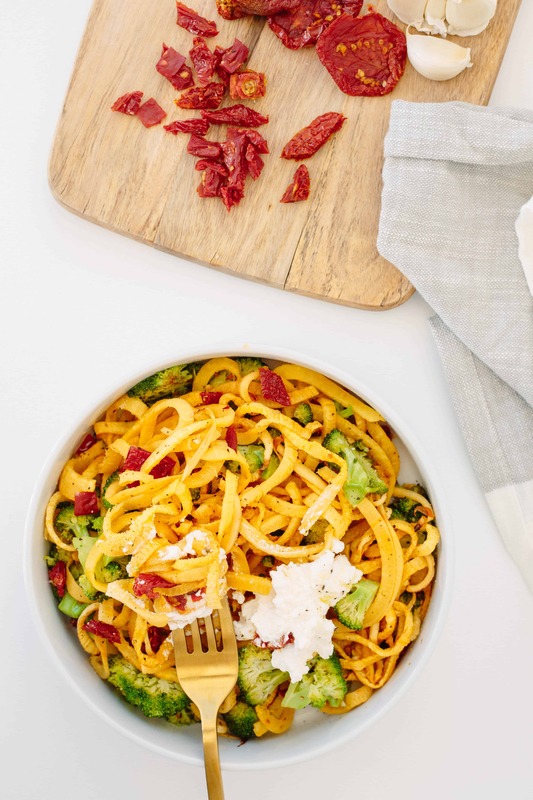 Non-zucchini noodle dishes with sauces: Similar to the ragu-type sauces tip above, any type of sauce can be used with spiralized vegetables and can be reheated for lunch. Dishes with no sauce: If your recipe doesn’t call for a heavy sauce, that’s perfect – it will reheat well. Bonus points for recipes with cheese – the heated cheese will melt nicely into the noodles. This works with zucchini noodles! Pesto pastas: Pesto sauces work well with all vegetables and reheat well. Actually, the olive oil in the pesto works to our advantage with zucchini noodles. Throw in some kale, spinach or another vegetable that will absorb excess moisture, and you’ve got a pesto pasta, fit for lunch! Wraps and sandwiches: any noodle, any ingredient – collard green wraps (or any type of sandwich wraps) work brilliantly! Just wrap tightly in tinfoil or paper and secure with tape when packing for lunch. Casseroles: If you eat hearty lunches, then you’re in luck: non-zucchini noodle casseroles work fabulously when reheated. 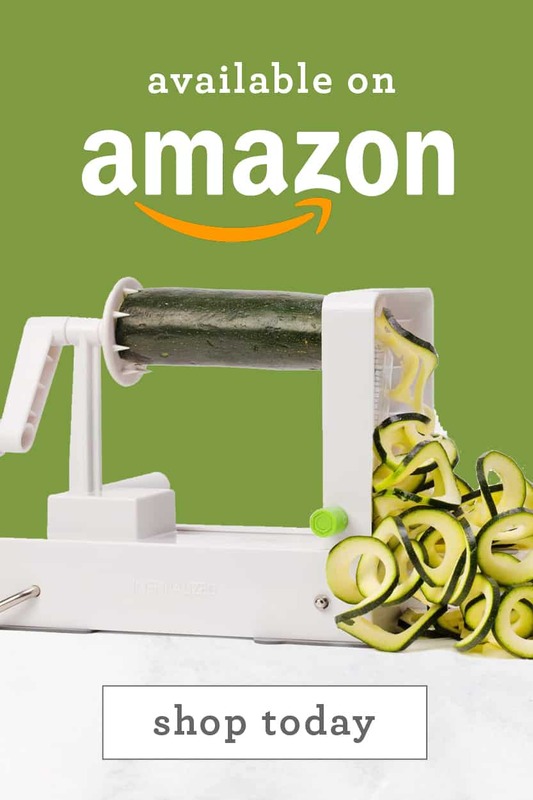 Please note, spiralized zucchini should not be frozen. When you go to defrost it, it will wilt and become a mushy mess. 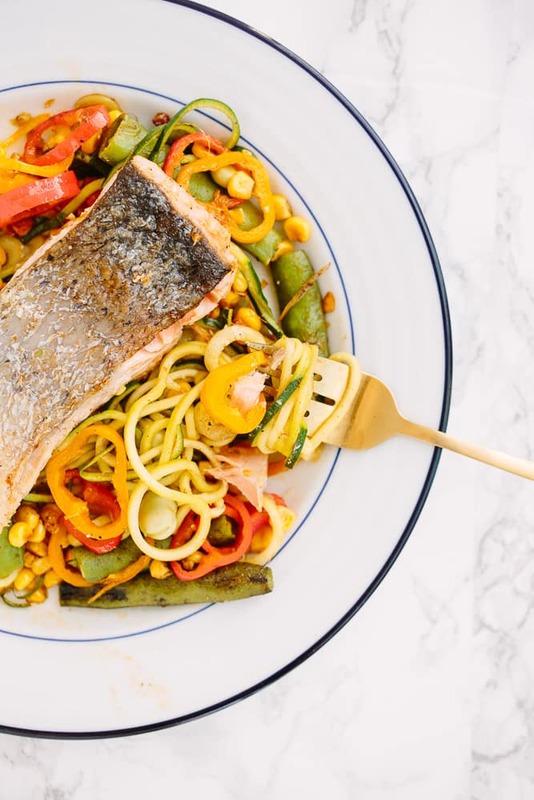 It can be tricky to prepare a zucchini noodle dish in advance, due to the vegetable’s high water content (the longer the zucchini sits in a sauce, the more moisture releases and the more watery/mushy the dish will get). This applies for cucumbers as well. The best way to make a recipe and save leftovers for the next day is by portioning out some of the sauce, placing it in a container and putting it in the fridge to save. 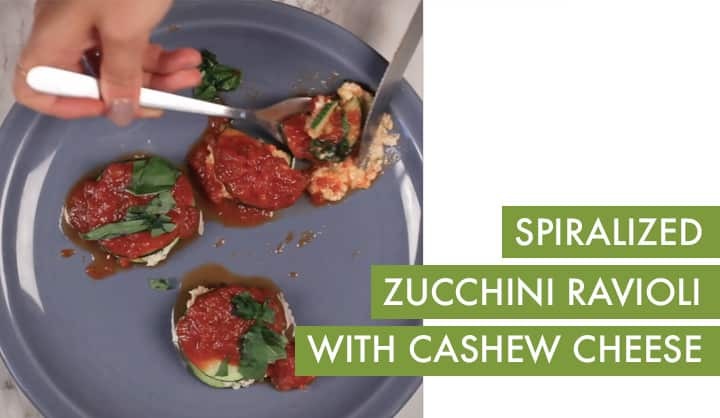 Then, if you’d like to make this for lunch or dinner the next day, just heat up the reserved sauce, cook the zucchini noodles, and pour the sauce over the zucchini noodles. For example, you could make a big batch of my Gluten-Free Turkey Meatballs with Zucchini Noodles, while reserving a serving of the tomato sauce and meatballs, and then reheat the sauce & meatballs. While the sauce and meatballs heat up, cook the zucchini noodles in a skillet and then pour the sauce and meatballs over the zucchini, once ready. I have many recipes for yummy meals that don’t require cooking of zucchini noodles. 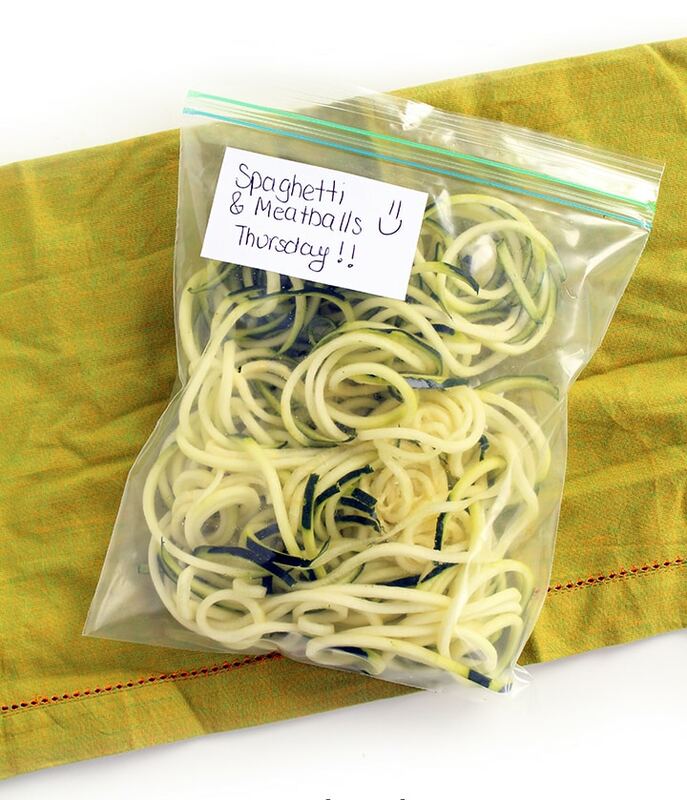 These can be saved in the refrigerator for later and don’t require reheating and therefore, the noodles won’t release too much water. For example, my Avocado and Tomato Zucchini Noodle Salad with Basil Vinaigrette. If you just made a delicious zucchini noodle soup, like the Minestrone from Inspiralize Everything or this Bacon and White Bean Zoodle Soup, here’s a tip: pack extra seasonings. As the zucchini sits in the soup, its moisture will dilute the broth, making it less flavorful. For example, if you’re making my Vegan Zucchini Noodle Ramen, add an extra dash of soy sauce before serving. Other seasonings that can be appropriate are salt, pepper, spices, hot sauce, etc. If you’d like us to do the work for you, we’ve got you covered! 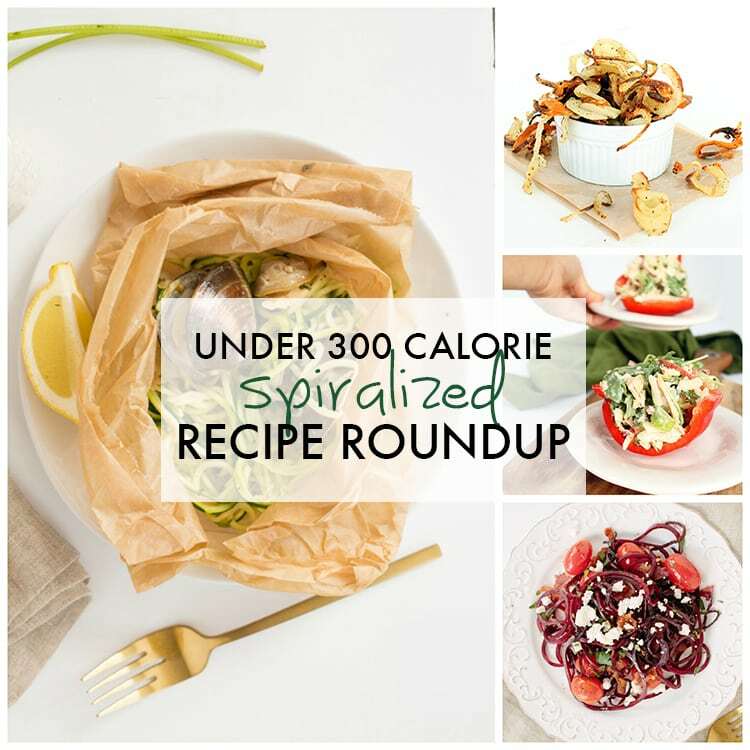 Check out our Spiralized Meal Plans, here. 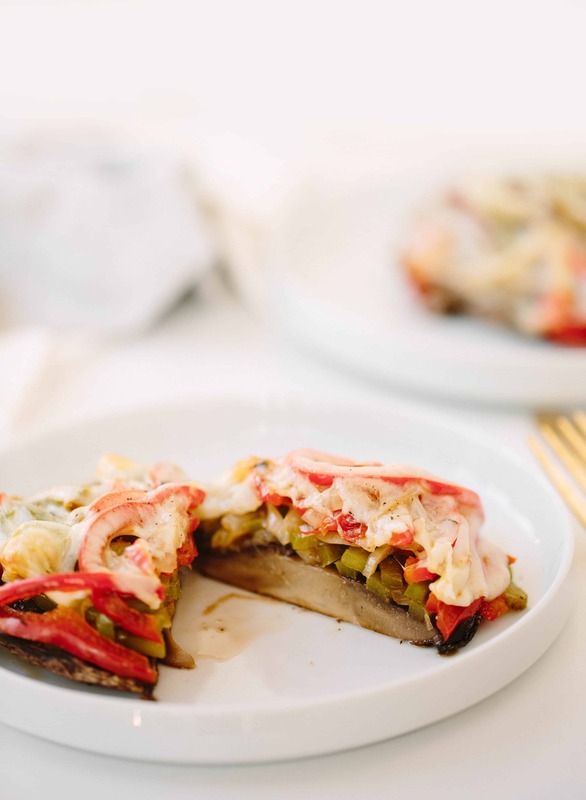 This year, I’m sharing what I’m personally eating for dinner – every week, every Sunday! You can follow along and see my dinners here on Instagram. 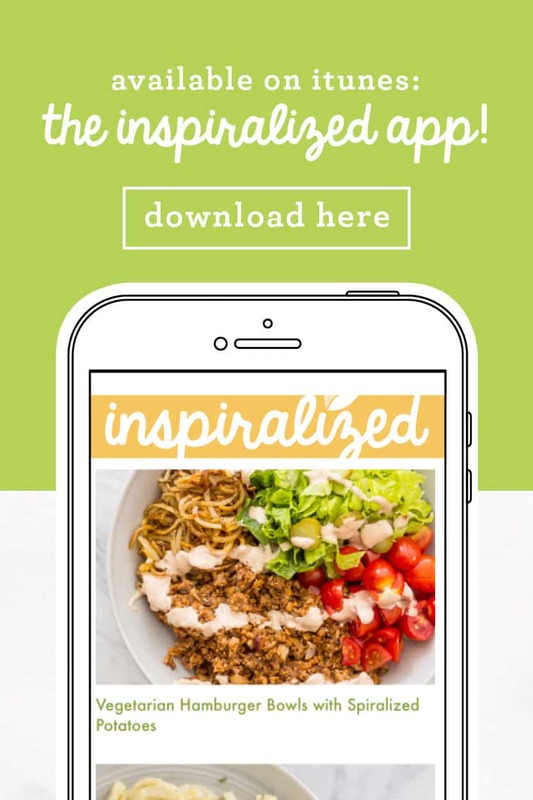 I’d love you to follow along and eat with me – make sure to post any pictures with the hashtag #inspiralized so I can see and regram my favorites! Buon appetito! Tuesday: Chicken Tagine with Apricot Golden Beet Rice from the Inspiralize Everything cookbook Ended up having leftovers from this recipe. Thursday: Potato Wrapped Roasted Carrots with Lentils from the Inspiralize Everything cookbook Ended up having leftovers from this recipe. 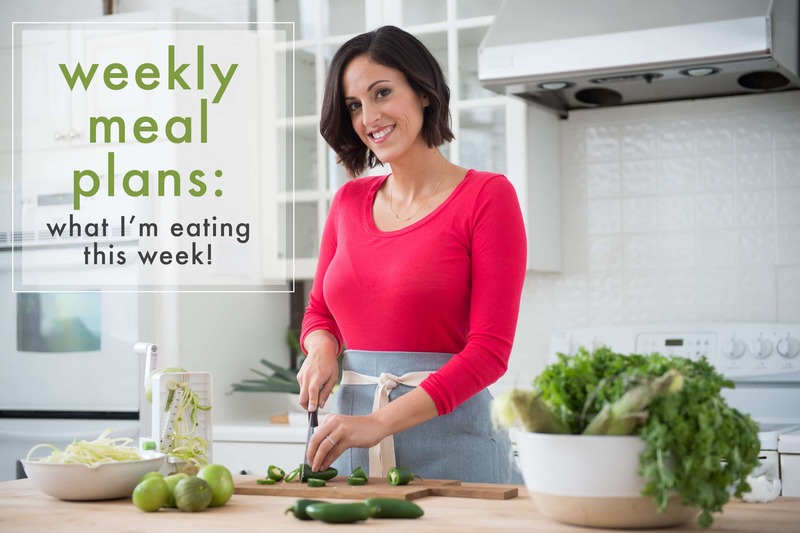 To access all of my weekly meal plans, bookmark this page. 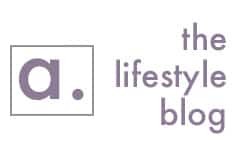 What is everyone eating this week? 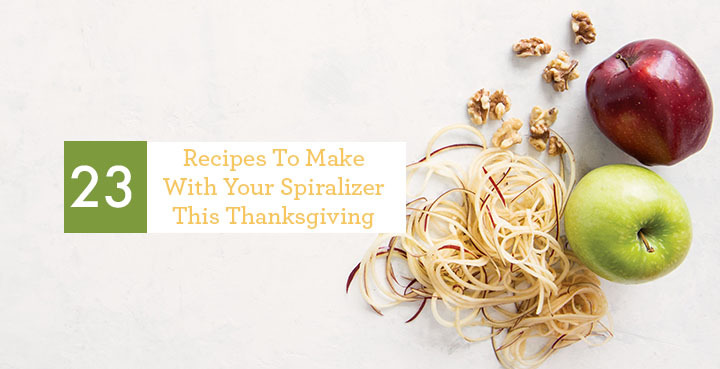 I’ve mentioned before that this time of year is my favorite to spiralize. Call me a rutabaga girl, but there’s something about the root veggies especially during this time of year that gets me excited to spiralize! 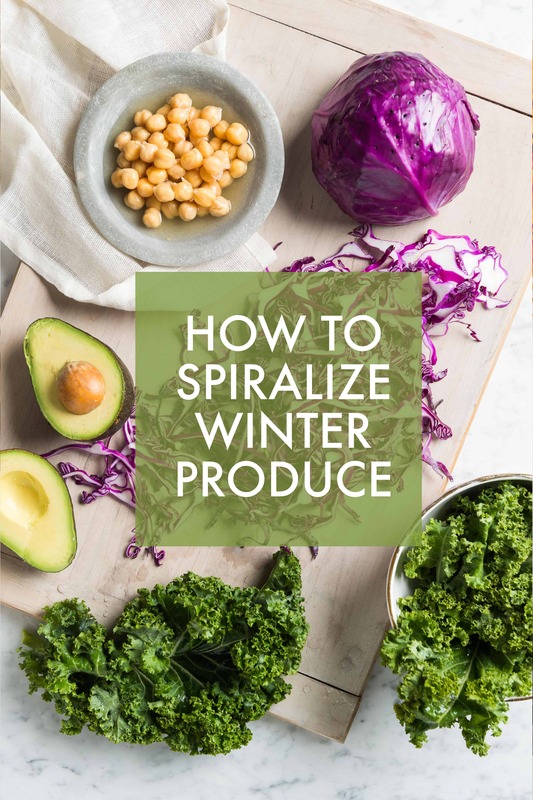 Today, I’m sharing a list of all the produce that’s abundant this time of year (winter is officially just a week away!) 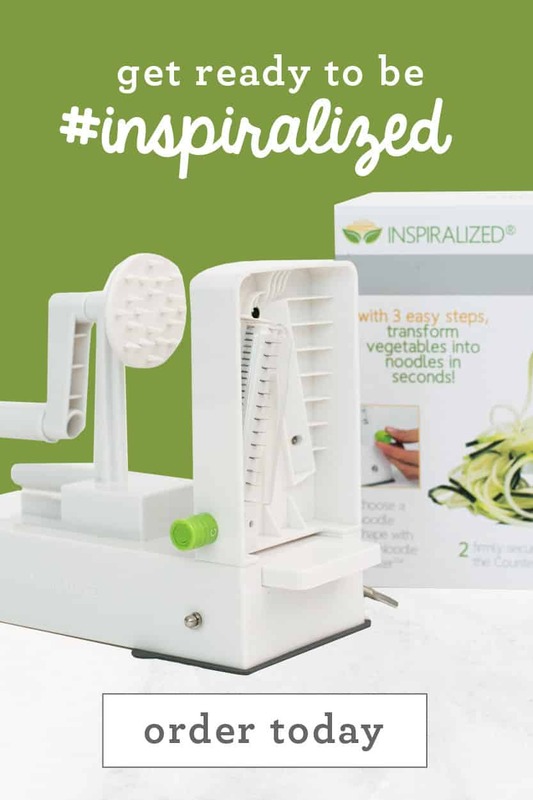 and showing you how to spiralize it all with videos, along with some of my favorite recipes for each veggie. Over the weekend, Lu and I went to the farmer’s market. We hadn’t been in a couple of weeks, and it was nice to see our local farmer Dale. One of the best parts of publishing a cookbook is seeing everyone’s photos of the dishes they’ve made from the cookbook. 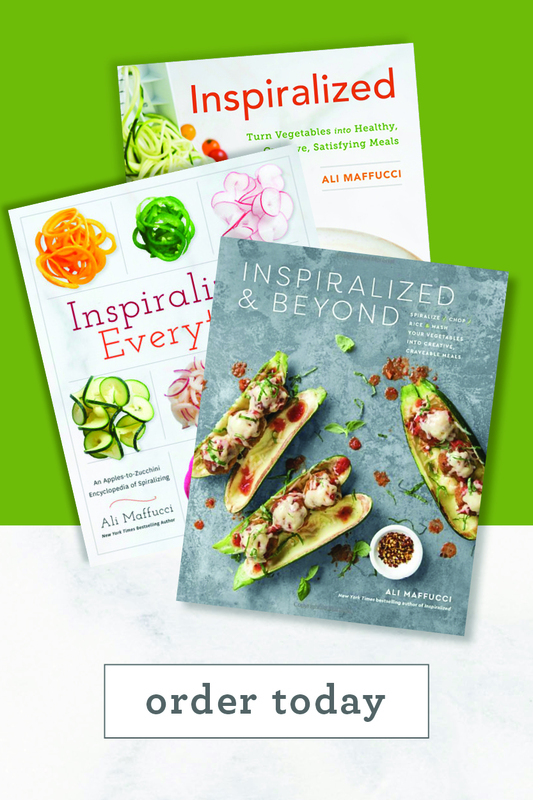 Today’s the last day of “cookbook week” and I’m rounding up all of my blogger friends who featured a recipe from Inspiralize Everything this week! So, thanks to my blogger friends who shared about it and also, thanks to all of you readers who have been making recipes from the book all week! No more teasers and mini-mentions. 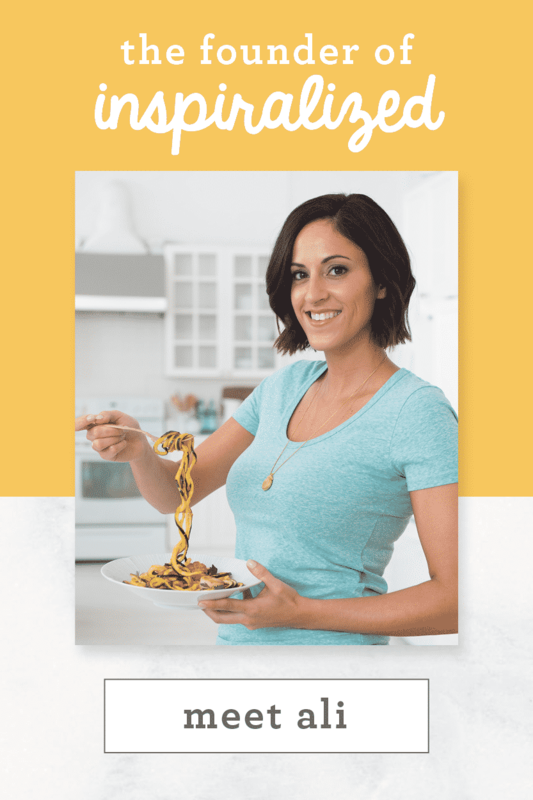 The cat’s out of the bag: my second cookbook is coming out this summer (August 16th, to be exact)! The title? 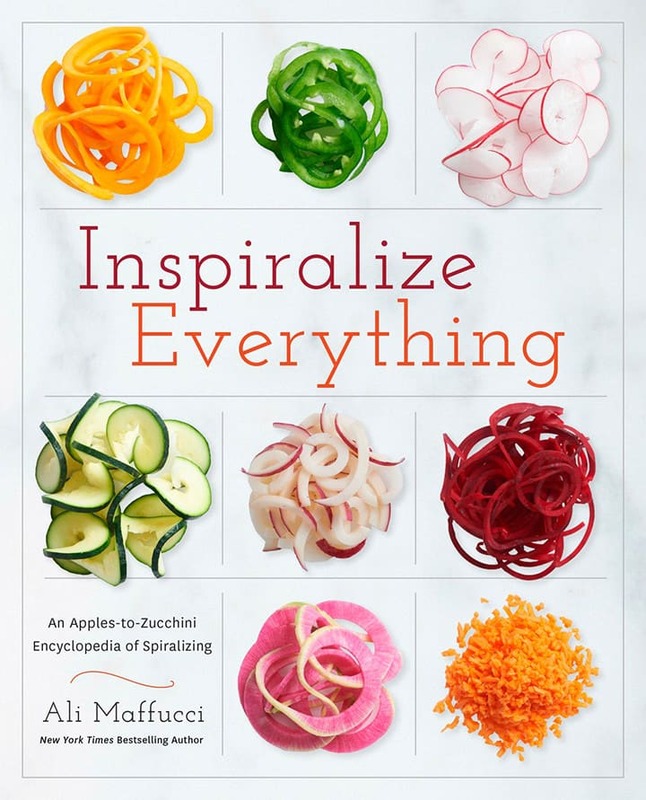 Inspiralize Everything. I have so much to tell you! Before I start freaking out with excitement, it’s available now for pre-order from the following retailers below. Remember, just like last time, if you purchase now, you lock in this low pre-order price, and then later this year, it’ll be like a surprise gift in the mail, once it publishes! 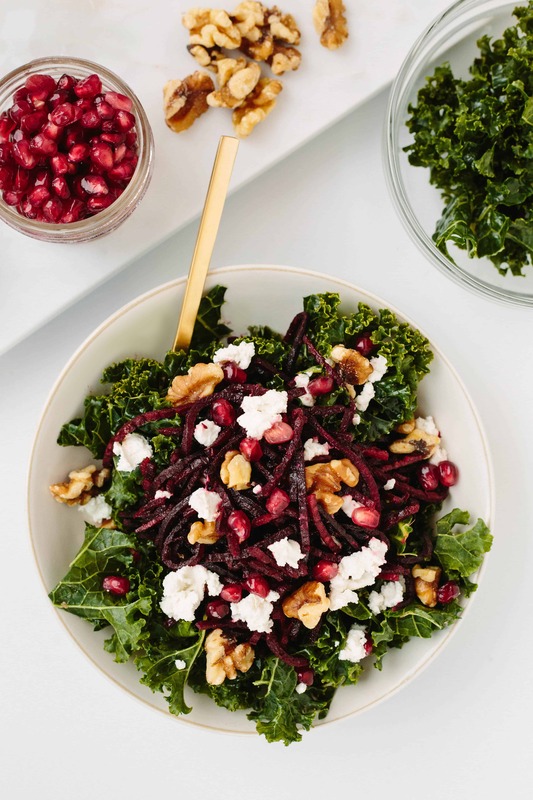 It’s that time of year – everyone’s planning for an epically healthy January now that Christmas is over and all the ham and pies have been polished off. Yay, pies! 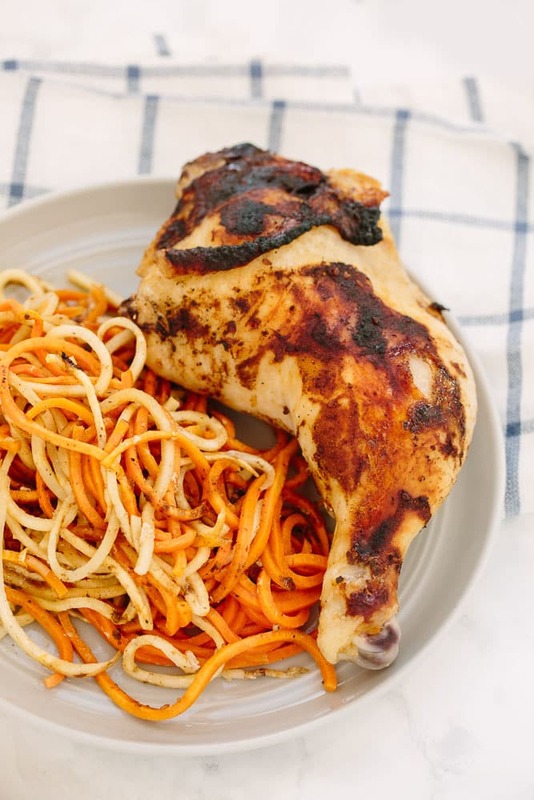 We’re back with another recipe roundup and this time, we’re talking Paleo. 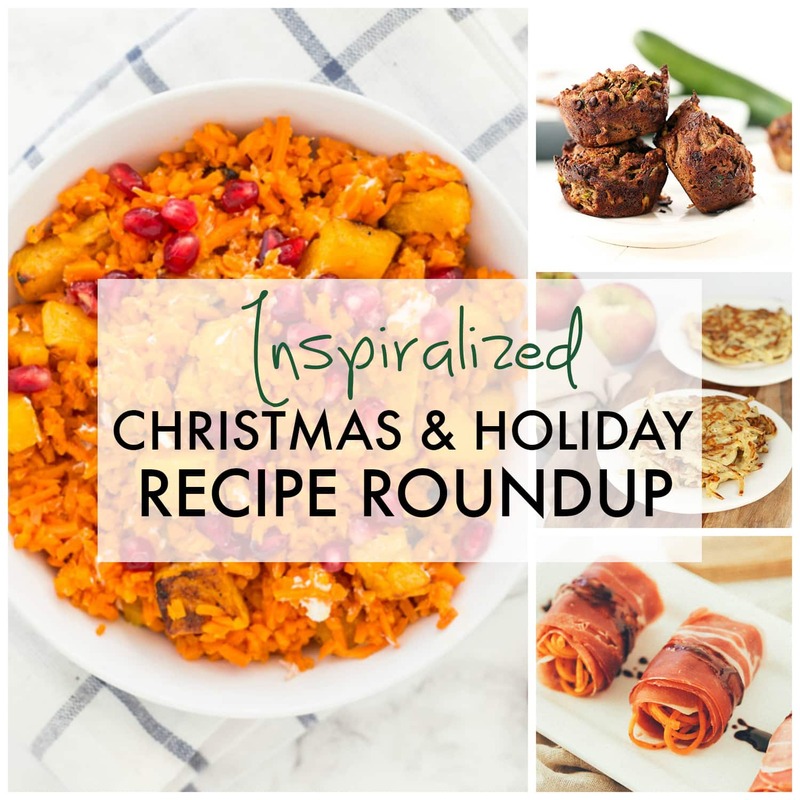 From now until the end of the year, I’ve decided to share some healthy recipe roundups of all of our best spiralized recipes. Since I’m trying to spend more time with my family and husband and less time online and on my phone, I figured this was the best way to do this. Plus, you’re all traveling/celebrating the holidays anyway and not even reading this, right?